It was lovely to be offered a short story by Sara Paretsky last week, as we wait impatiently for her new novel Shell Game which will be out in four weeks’ time. 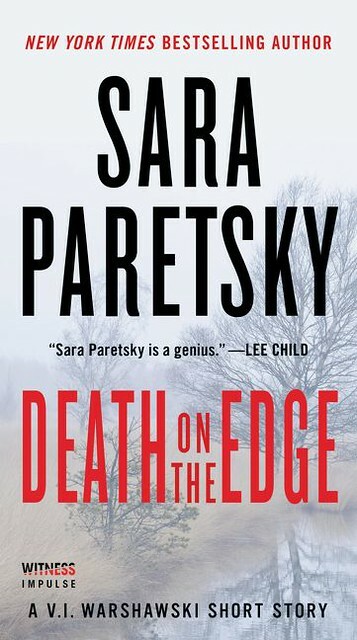 Death on the Edge features V I Warshawski back in her childhood neighbourhood, sorting out a fatal dispute with a school background, under the critical eye of her former boyfriend Conrad. It’s a story that has all that you expect of a V I story, except that it is shorter. Aimed at the American market (or did the rest of us just get forgotten?) it’s not entirely easy to buy this short e-story. But I set the Resident IT Consultant to work, and after masquerading as his younger brother for ten minutes, the story was in my possession. Great news on the crime front! 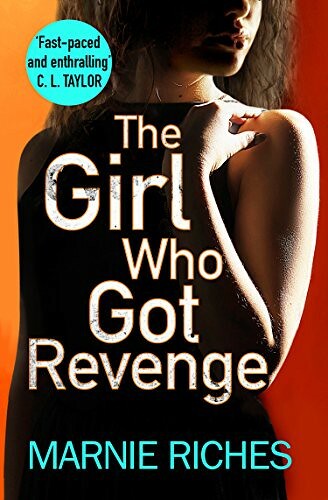 Today sees the publication of the fifth George McKenzie novel by Marnie Riches, The Girl Who Got Revenge. It’s ‘only’ the ebook today, but don’t despair. On May 3rd we get the whole collected George on paper for the first time! I can’t tell you how much I am looking forward to that. Except I just did. Sort of. I imagine Marnie is equally pleased to see her first crime babies in actual print, after her Born Bad series which came last year. I will get back to you when I’ve read about George’s revenge. 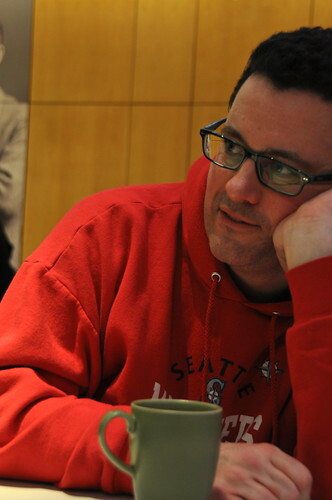 And on the Irish front, it seems we are to be rewarded with three more Duffy novels from Adrian McKinty. I had suspected the worst, but it would appear that Duffy didn’t sail into a permanent sunset after all. In fact, with news of three books, I will dare hope, and expect, that Sean Duffy lives through at least two and a half of them. So, plenty more Irish history for Duffy to solve crimes in, and no one could be happier than I am. Not sure how long a wait there will be, but it will be worth it. Good news too for the Resident IT Consultant who has belatedly begun reading all six books. Don’t know what took him so long! Had they even written those books they worked so hard to pitch? I ask only because last year’s winner of Pitch Perfect apparently hadn’t. She pitched. She won. She got contract. And then she wrote. Or I hope she did, as the book is coming out in the spring. I don’t know why I’ve never gone to one of these sessions before. Well, I do. They sounded too intimate, for some reason. A moment between hopeful writer and stern publishing person. Could be embarrassing to witness. Except it wasn’t. Eight – slightly vetted – hopefuls using their three minutes as wisely as possible, trying to charm the four professionals, who in turn had three minutes per applicant to give their verdict. The first pitch was really good, I thought. I liked the person, I liked his performance and I thought the book sounded promising. But maybe they’d all be like that. Well, some were, in some respects, and others weren’t. Most were interesting in some way. But what fascinated me was that while what I liked best, the professionals also liked. I think. But they seemed to like what I didn’t go for, even more. Very illuminating. As far as the publishing world goes, I mean. And the thing is, a personable potential author does not guarantee a good book, or sales. A good pitch still does not mean it’s going to be a cracking novel. And so on. Those publishing people could be wrong. Maybe? Or rather, they know very well what is likely to work. But it doesn’t mean they pick the best story to work with. The choose what will fit in best with their business. And it’s from this readers get to pick what they might enjoy. I noticed how one of the panel was impressed by an idea that I at my age felt was anything but original, because I’ve been around for longer. They liked the person who could say who her expected readers might be. Except she had young people in mind, and that makes it YA (the horror of it! ), and young people don’t spend money. Probably right. What they overlooked – perhaps – was that authors are often mistaken about who will love what they have written. It’s a judgement better done by someone else. The panel obviously wanted to tick boxes. It’s how business works. And the digital publisher understandably had different needs from traditional publishing. That’s why they eventually picked two winners; one for a possible digital future, and one traditional. The latter was the one I liked best, the first one. Look out for crimes in 1930s Singapore! 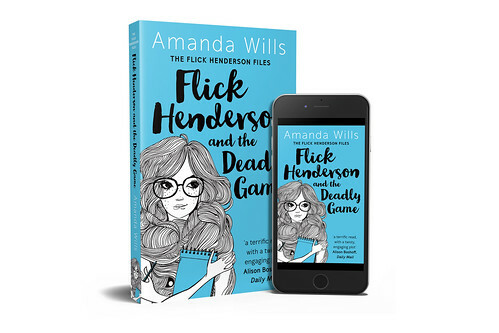 Dead sisters generally put me off, but there was something about Flick Henderson and the Deadly Game by Amanda Wills that spoke to me. I felt ready to give it a chance. 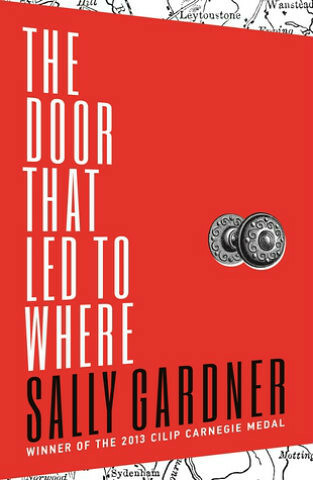 I’m glad I did, as it captivated me from the start and kept me reading to see if I was as a good a sleuth as Flick turns out to be. She’s 14, the same age as her sister Kate was when she disappeared. And there is that word, disappeared, which makes you think that maybe she’s not dead. But it’s been four years, and the family are falling to pieces. For work experience week Flick gets to try journalism, which is what she wants to do most of all. And through the little mysteries she encounters on the newspaper, Flick begins to look into things, and to solve what needs solving. I had one early suspicion, which proved correct, and then a later one which didn’t. Perhaps Flick is too clever for her age; I don’t know. But it was fun to read her story and see what would happen, and how the tragedy of losing someone could – possibly – be resolved. Besides, how can you not love a story that starts with a stranger on the heroine’s doorstep, proudly offering her a dead badger, with ‘hardly a scratch on him’? They’re not bad, those little e-readers. Especially if you are required to use up your suitcase weight allowance with cables. And cheese fondue pods. Daughter touched down at Bookwitch Towers briefly, en route for the other side of the world. She’d brought her half-read copy of her brother’s translation of Into a Raging Blaze, but as we began weighing every item to go (yes, really), even that had to stay here. Instead we filled up her newly acquired Kindle with books. I have got Daughter so well trained that she accepted most of my suggestions of Really Good Books. All was going well until she said she’d also quite like something cheerful. Gulp. And something girly, a bit like Cathy Hopkins’s Mates Dates series. That’s easier said than done. I ransacked my brain for anything a bit like that. I searched my shelves for girlier books than the ones I’d listed. And I’m sorry to say but we didn’t get anywhere much. We’d be grateful for genuinely good – and cheerful – stories featuring female characters. One is easy. Both together is less common than it ought to be. When I went through my mental list of favourite female authors, I came to the conclusion that many of their books are about male characters. And I’m fine with that, since a good book is a good book. But Mates Dates they are not. And to my mind, Cathy’s books are friendlier than most. The catty friends and horrible boyfriends are far too common in many book plots. I suppose that’s one way of providing action; see how many characters your characters can fall out with before all is well at the end. Or not. You don’t really want to be friends with Dr George McKenzie. Such a friendship is likely to involve danger in general, and eyeballs in particular, and not in terribly nice ways. On the other hand, George is good to have on your side, as long as you manage to stay alive. In the fourth outing for Marnie Riches’s more than feisty heroine, things are darker than ever, and as you read you can’t help but wonder if anyone at all will be alive at the end. Apart from the bad guy, who appears to have at least nine lives. Well, I clearly can’t comment on that. You must read and find out for yourself, and I can highly recommend starting the new year with Dr McKenzie. She’s imagining danger everywhere, and can defend herself with an Old German dictionary if need be. Mothers are everywhere in The Girl Who Had No Fear. There is George’s own, who has disappeared. Elvis is busy juggling police work with looking after his mother, who seems to be on her very last legs. Marie is another mother, as is a fearsome girl George encounters when she goes off on her own to… Detective van den Bergen’s daughter is a new mother, too, and this changes how George’s lover looks on taking risks. This time the crime hinges on bad drugs, and van den Bergen and George search all over the world for answers as to why so many men end up dead in one of Amsterdam’s canals. And it’s not just about a mother who’s nowhere to be found, but George’s long lost father pops up on the horizon. If it is him. If he’s not dead. And will Marnie have to start afresh with a whole new set of characters in the next book? This was actually a rather sweet and fun little story. In the Land of Broken Time: The Incredible Journey, by Maria and Max Evan and translated from Russian by Helen Hagon, is a picture book. I think. I have read it on the Kindle as that is the only format so far, and generally I find ebooks and picture books don’t work so well. Hence a certain reluctance on my part to read them. Except in this case I felt there was something there, so I gave it a go, and I’m glad I did, as I really enjoyed the book. The story is about Christopher who is ten, and who sneaks out to see the circus even though he is unwell. 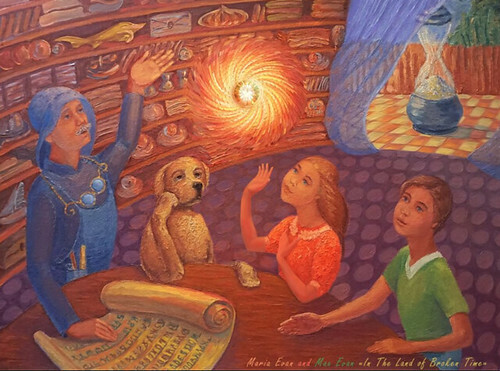 Doing so he comes across another sneaky child, the lovely Sophie, and they end up having an adventure, in the company of a speaking dog. As you do. 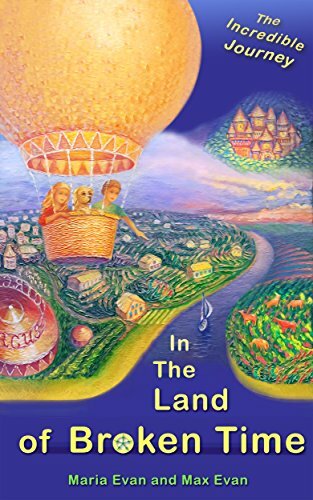 There is an air balloon involved and somehow it travels in time, and the children land somewhere different, where there is a time mystery for them to solve. It’s old-fashioned and modern all at once. It’s like a typical fairy tale, but one where the children have mobile phones and access to Skype. And a talking dog.